The word is “supplements” dummy. Thanks for the preview, I am really looking forward to getting this set. I picked up a triple shot of this set yesteday and so far, I’m impressed. 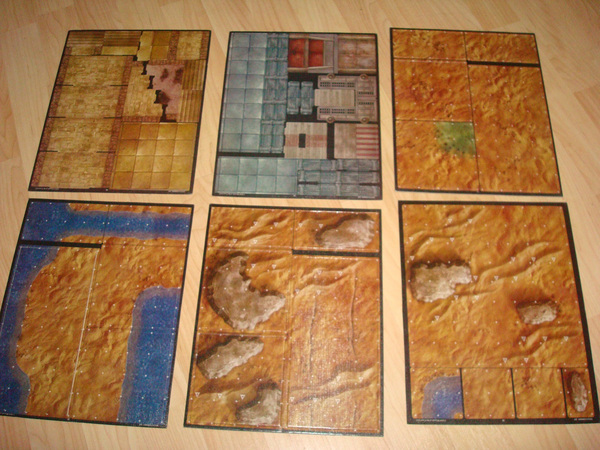 While it’s billed to be for Dark Sun, it works well for any desert setting. As a long time Dark Sun fan, this set is extremely irritating. There is hardly any water on Athas, let alone boats for crossing it. Does not bode well for DS 4th Edition. I suspect, as NewbieDM said, that the Dark Sun label is merely marketing (I still fear for the 4E iteration of it, if only because they bastardized FR so badly). The fact that there is water in here is probably for giving DMs options for use with other tile sets. As NewbieDM said, it would be great for beaches (which I could have really used about 5 months ago). Same goes for the outdoor transition pieces. The boat is kind of dumb. Also, I really like that they had a few pieces that matched up with Dire Tombs (again, as NewbieDM pointed out). That’s my one complaint about the dungeon tiles. No clear instructions on how to handle the 3D elements. And the example pictures of how to use them? Difficult to decipher. Nevertheless, I love 3D elements and this looks like a neat set. SCRIPT, man, SCRIPT! It’s cringe-worthy listening to you. NEWBIEDM sits at his computer at 1AM, and reads a dicky comment. I really appreciate your style in doing these, NewbieDM! There are lots of places where I can see a “professional” setup but I enjoy watching you go through them and listening to you give your remarks as you go. I’m submitting your script for a Broadway adaptation. Tony awards, here we come! NewbieDM, Peter Jackson called – he wants to option your script and make it into a major motion picture. He was going to get Del Toro to direct it, but they had a falling out – how about Tarantino? Hi, first time here and wanted to say that the set is overall pretty good. The 3d elements were fairly easy to do. I just tried to see which pieces fit and which ones didn’t. Love the site, keep up the great work! Wow! I sooo could have used this set about a month ago. On the bright side, I need some beaches now! I’m also considering getting some sinister woods with this, what do you guys think of that idea? You know, normally I object to bloggers being arsehats in reply to other people being arsehats first, but somehow newbie’s response transcended arsehattery and entered the realm of comedy gold. Thanks for this! I have been itching to see photos since my sets are waiting for me back at home, and I’m on the road. Wish they had put it more tents. 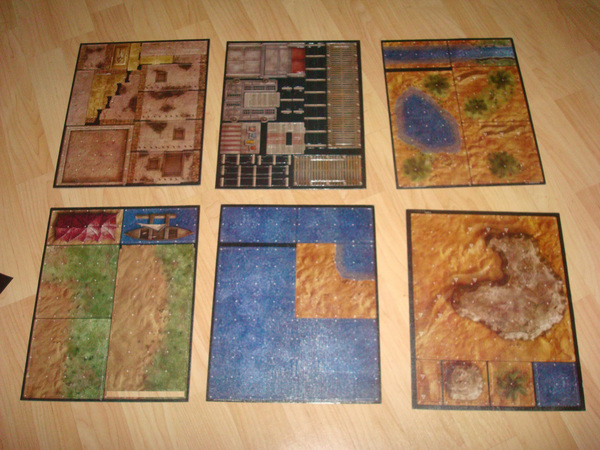 The comments are more fun than the tiles, which is good, since WoTC discontinued their minis and is beta testing the virtual tabletop. Cloud D&D, here we come.